It was a time, when a small film released with a debut director and an artist who used to act in roles of movies like Bahubali, Run Raja Run and some others. He wrote the script, found a suitable debut director and did act in that movie as lead and score a blockbuster which brought him both critical and commercial success and that movie was Kshanam. It is regarded as one of the movies that came during the transition of Telugu films from star driven to content driven films. 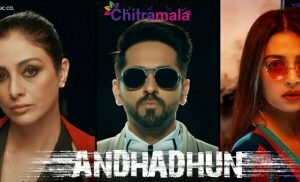 And with the humongous support Adavi Sesh and team received for Kshanam gave him much required confidence to carry on with his newer kind of attempts and he is now coming with “Goodachari” which he wrote and acted as lead under the direction of debutante Sashi Kiran produced by Abhishek Nama of Abhishek Pictures. Lets see how it works in us as it is released into theatres today. Arjun Kumar (Adavi Sesh) is a young and aspiring guy who wants to serve his country by joining in any of the armed forces like the way his father did who was died in a mission of Trinetra. He want to be like his father no matter what stops him from becoming so. He applies every force for hundreds plus times and finally gets appointed for training and he is always haunted by the memories of his father which lets him down mentally. He falls in love with Sameera (Sobhitha Dhulipala), a psychologist and decide to marry her. On the day of his recruitment into the field of Trinetra, there happens a bigger conspiracy which puts him as mastermind and scapegoat for that. How he solves all of them and how he helped his organisation Trinetra from falling down forms rest of the story. Adavi Sesh as Arjun Kumar is superb. He is so sleek, stylish and very believable for the role. The stunts he do, the body language he incorporate, everything goes well with the character. Sobhita Dhulipala is nice in her role as Sameera. She has got a nice role for her debut into Telugu and she did well. Prakash Raj performed well in his role.Vennela Kishore is humorous in his role. Madhushalini is good in her role. Anish Kuruvilla is nice as Damodar. 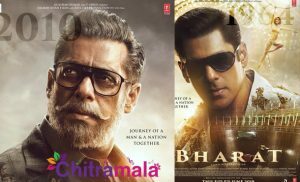 Jagapathi Babu is superb in his role. All other actors are well fit for their roles. 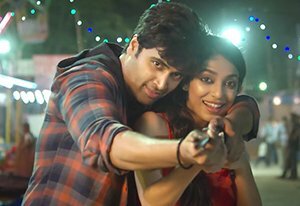 Story of Goodachari is very interesting and screenplay is well written by Adavi Sesh. Dialogues are good. Music composed by Sri Charan is good. He did a lot of superb work with the background score. This might be one of his best. Cinematography by Shaniel Deo is superb. He has shot a very beautiful shots. Editing is good. Action sequences are well composed and executed. Production values are rich. Goodachari is a story of Trinetra, a government intelligence organisation which helps other organisations like RAW and IB. The movie starts off great with a very engaging sequences and we get a lot to know about how they work and how Arjun, lead character who is affected by his father’s death is trying to join the force without the knowledge of his guardian whom he calls dad, dearly. After a certain events, the movie turns into an investigative thriller with some nice twists at regular intervals. Director Sashi Kiran has done a fantastic work with the script he got from Adavi Sesh. 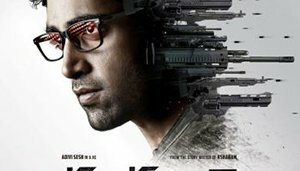 Goodachari is one of the best thriller or spy thrillers of Telugu film industry which has too much classiness written over it.